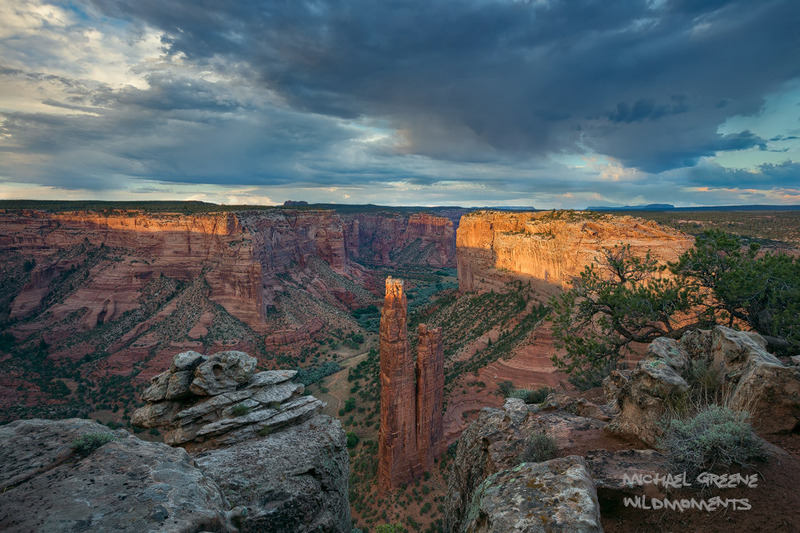 Sublime sunset light in Canyon De Chelly National Monument amid dark blue monsoonal skies. . Photo © copyright by Michael Greene.